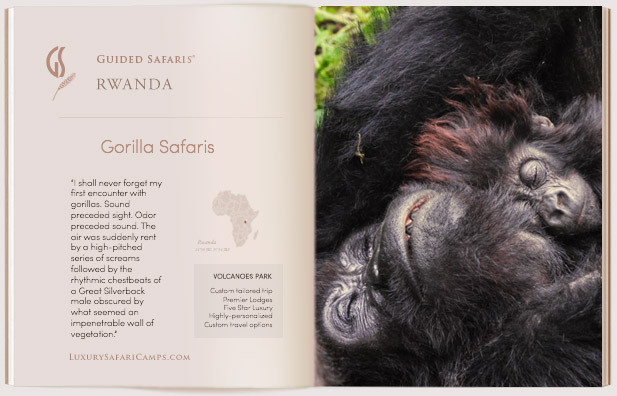 A specialized mobile camp experience that brings intrepid travelers closer to the private 350,000 acre Grumeti reserve. 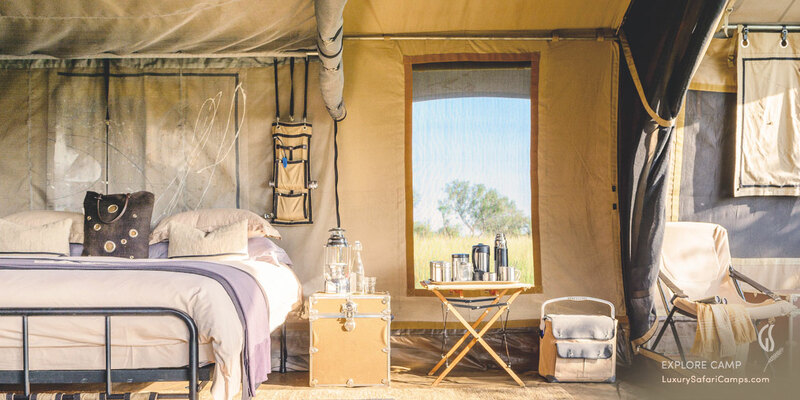 This exhilarating back-to-origins camping adventure set up in the most game-rich spots in Grumeti Reserve. Explore Mobile Camp, the most unique in Tanzania, has been designed to offer a closer aspect of the Great Serengeti for families and seasoned travelers seeking an intimate, rustic escape..
Here’s the value with Guided Safaris® - Enjoy complete privacy and highly productive game viewing in complete contrast to the over-run Northern Tourist circuit of Serengeti National Park & the Crater: We host you on this specialist Guided Safari in off-the-beaten path exclusivity in an award-winning private reserve with the finest private Specialist Guides to look after your stay in custom designed open-top 4x4 photography vehicles. No minivans, no crowds - just PURE SAFARI! experiencing wilderness at close hand. We set up the Explore Camp based exclusively around your party’s individual needs: Since the entire camp is yours, we can pitch up to 6 tents for your group (camp is priced on a minimum of 3 persons participating). Our Specialized Guides are actual year-round residents in the private areas where we operate. 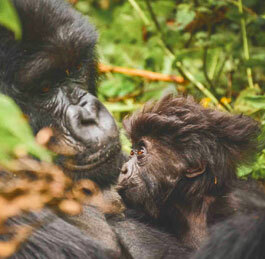 We recruit the most experienced rangers, hand-selected and assigned based on your interests; for photographers, seasoned travelers who’ve done multiple safaris and looking for something specific, or first time travelers wanting a perfect introduction to Africa. These professional Specialist Guides don’t reside in cities and just fly out to meet up with you on safari - they live in these private concessions out in the Great Serengeti 365 days a year and know where to find you the absolute best game when out on safari with us. The vehicles used are custom-designed photography 4x4s for a safari experience unlike any other in the world. Eco-luxury in the most private area of Great Serengeti. 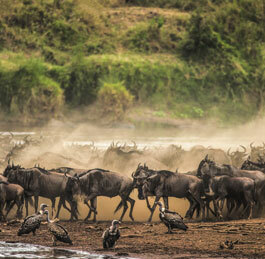 The Private Mobile Guided Safaris® is a magical option during the Tanzania migration season! 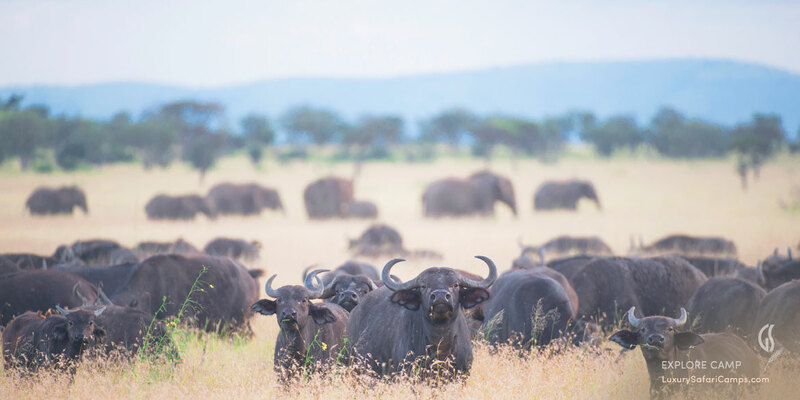 Explore the exclusivity and flexibility of the Singita-branded mobile camp experience and find yourself surrounded by plains game numbering in millions. As with all Private Grumeti Reserve game drives - lion, leopard, buffalo, rhino and elephant are regularly sighted. Tailored game drives with a Private guide. 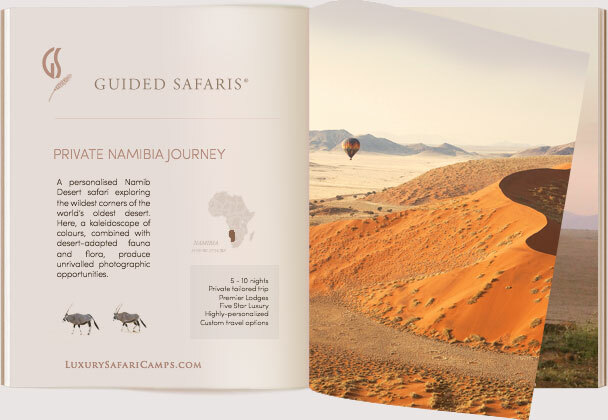 Guided walking safaris through the reserve. Mountain biking available on prior request. Special bush ranger programs for children. Use of pool and spa at main lodges. 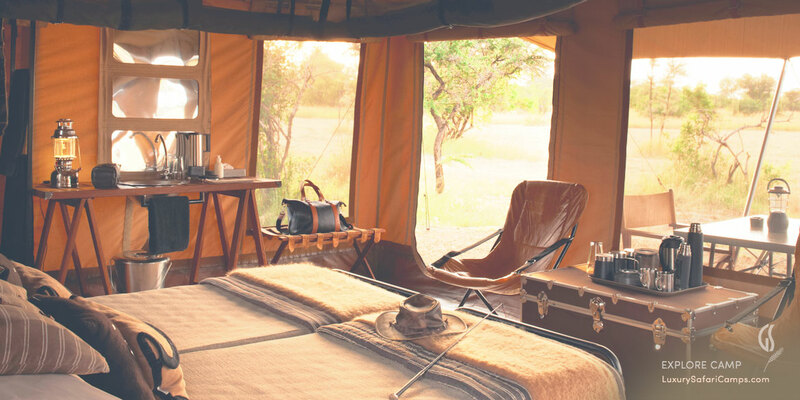 Ask about a privately-hosted Specialist Safari with our top-end private guides at Grumeti in a private landrover. 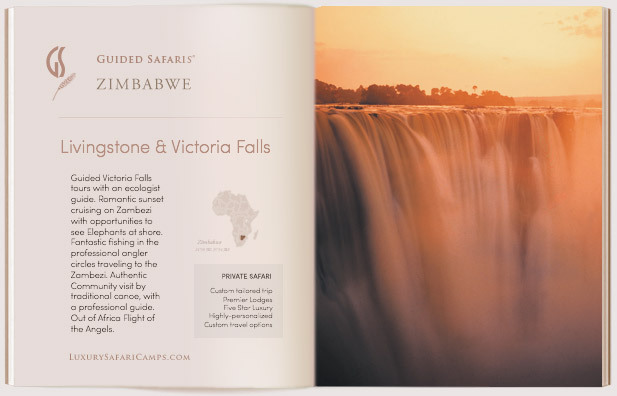 An exclusive option for couples and families offered by Guided Safaris®. Advance request only. 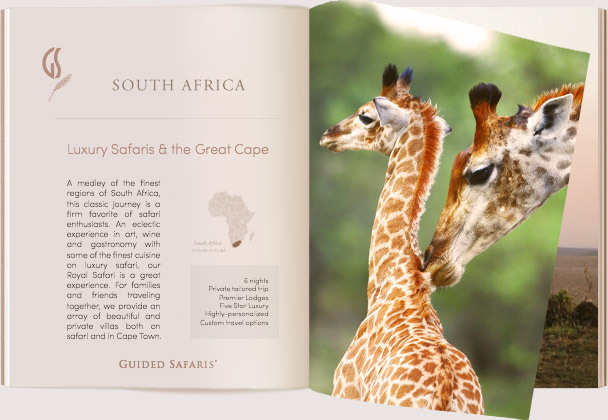 A perfect safari getaway with friends and family! 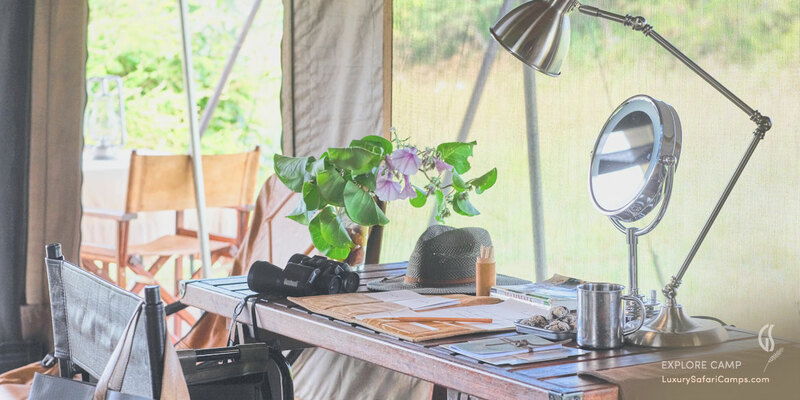 Exclusive to your stay (Can be set up to 2-6 tents) - The Singita Explore Mobile Tented Camp can only be booked on an exclusive use basis for a minimum of 3 persons (can accommodate up to 12 persons). 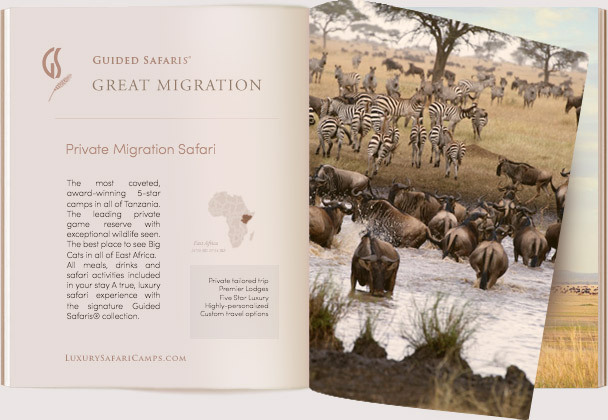 You can’t get much closer to the migration than camping at Singita Explore! 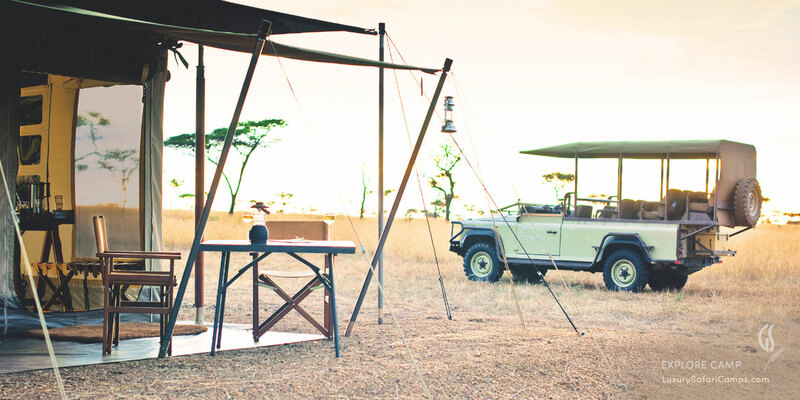 The Mobile Camp is open year round and operates within the private Singita Grumeti Reserve. 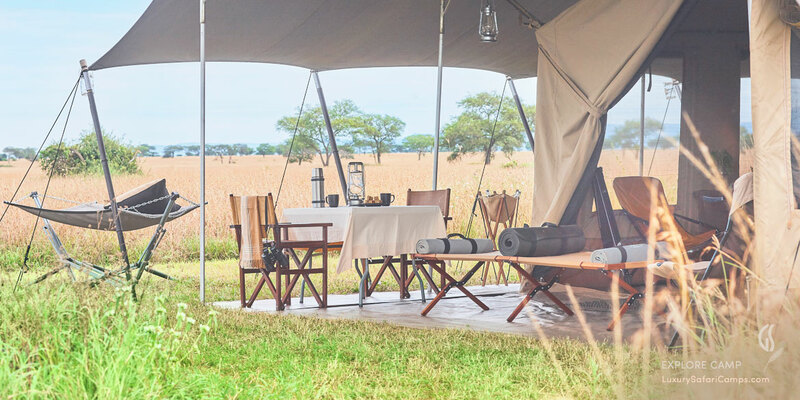 Consisting of up to 6 tents and 2 mess (dining & lounge) tents, Singita Explore will operate in the remote parts of Singita Grumeti, guaranteeing closeness to wildlife and untouched landscapes. 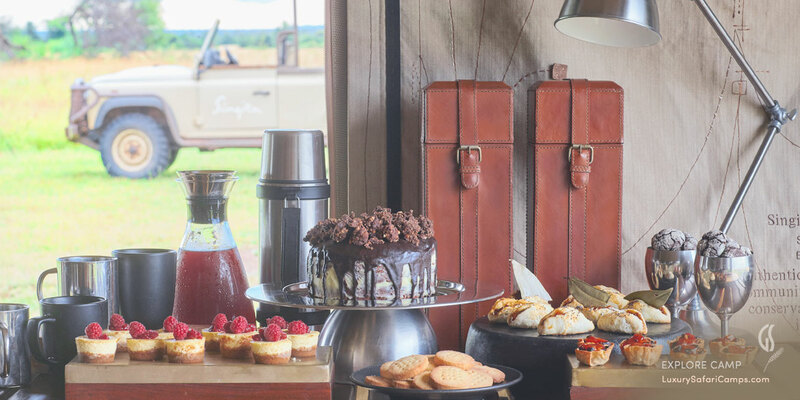 Your private charter of Singita Explore Mobile Camp comes with a host of one private guide, camp host, chef and house staff. 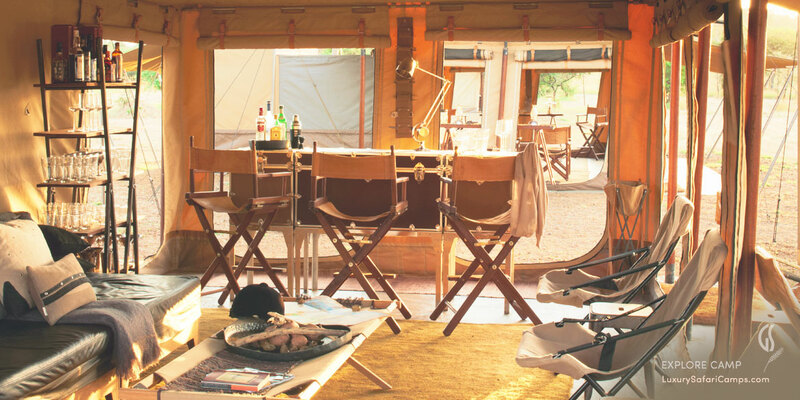 Consider combining your mobile safari experience with a break at a luxury camp in the Singita Grumeti Reserve for a different experience in accommodation and game-viewing location. Mouthwatering safari staples and favorite comfort foods for the camp fire kitchen. Menus change daily, customized to your diet & favorite dishes by the private chef. • Visas are required for entry into Tanzania. • No mandatory vaccinations required for entry into Tanzania, unless combining your safari with other East African nations. Depending on your international arrival and departure plans we can arrange for connecting domestic flights from major airports in East Africa to be packaged into your entire stay at Grumeti Reserve. Luggage weight for safari flights: 33lbs per person, packed in a soft sided medium-sized duffel bag with no wheels. Suitcases and hard luggage not permitted. 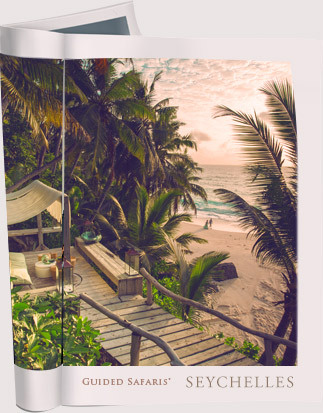 A beautiful experience for families and close friends looking for a unique adventure and incredibly fun get-together. 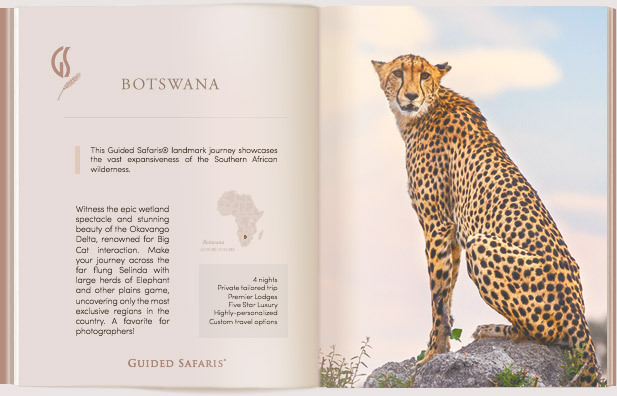 Your Private Guide will custom design your safari activities every single day based around the best game viewing regions in the private concession and tailor the day to suit everyone’s desires. Go out on drives as early - or as late as you wish and for die-hard safari enthusiasts we can also tailor to have an elaborate luncheon set up out in the bush for uninterrupted game viewing. How fun is that? Traveling with young kids? We’re a great option! Children’s activities are tailored specifically to suit each family and babysitting services are available for the very young. In the interest of safety, participation of children in any game activities is at the discretion of their guide. Children can enjoy: Baking with chefs, Arts and crafts, Board games, Astronomy and stargazing, Butterfly capture, identification and release, and Bush walks around camp. The Mini Rangers’ Course opens up a whole new world to young explorers with certificates awarded on completion to recognize their new-found knowledge. Book our special packages and take advantage of great savings on the prices at Explore Camp for a longer stay combining our lodges. *Offer: Ask about combining your stay with one or more of our luxury camps for a 6th night free! Price Excludes: Flights to camp airstrip.